The causative agent of Legionnaires' disease is Legionella pneumophila (figure 23.20), a member of the y-proteobacteria. The organism is rod-shaped, Gram-negative, and requires a special medium for laboratory culture, which partly explains why it escaped detection for so long. Also, in tissue, L. pneumophila stains poorly with many of the usual microbiological stains. 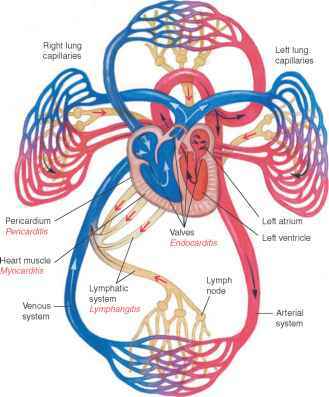 There are a number of different strains of L. pneumophila, some of which cause symptoms differing from Legionnaires' disease. 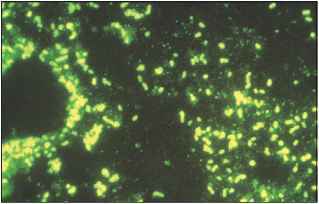 Figure 23.20 Legionella pneumophila Stained with Fluorescent Antibody When present in tissue or sputum, the bacterium fails to stain with most of the usual microbiological stains.